November 2004.I've now had my Mariposa for nearly two years and a couple of thousand miles -- plenty of time for the "magic pixie dust", as one writer puts it, to wear off. It hasn't happened. Everytime I ride this bike I'm amazed at how nicely it handles and how light it feels from the saddle. Everytime I see it I'm reminded of how beautiful it is. To give and idea of my continuing infatuation with this bike consider that I had always wanted to have a stable of nice bikes, one for this purpose, one for another. 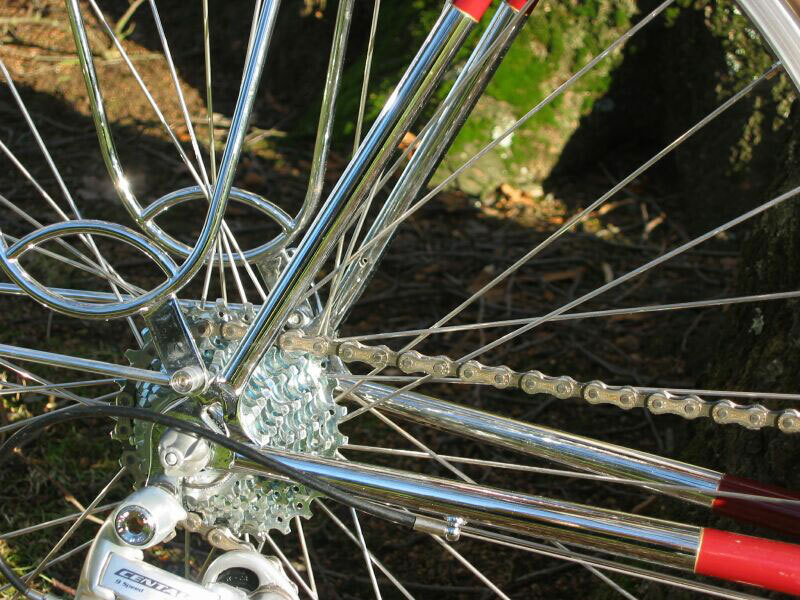 Now, the only reason that I even consider other bikes is to think of what I would want as a backup in case my Maripsa was off its wheels for a period of time. 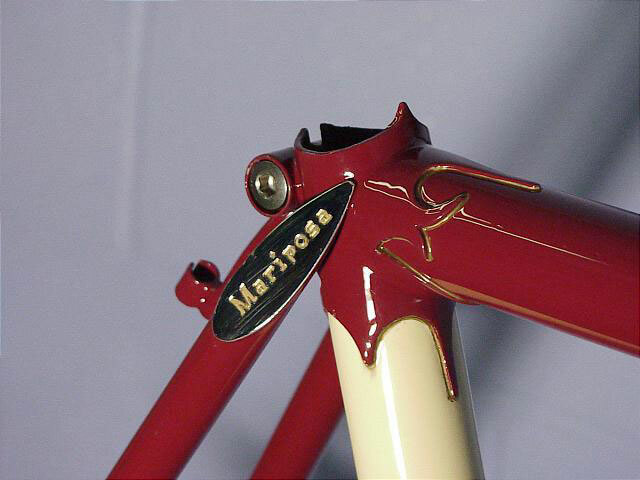 The only really suitable backup that I've been able to bring to mind is another Mariposa with the same geometry but different colors (difference just for the sake of difference -- I've still never seen a nicer looking bike in person.) Nothing on the bike has been changed in the time I've had it -- though the tires will need replacing in another thousand miles or so Ð and I have no desire to change anything. It's as nearly perfect a bike for me as I can imagine. It is a randonneuring style bicycle - designed for long periods in the saddle, both day and night riding, a good turn of speed, good maneuverability and excellent stability for times when sleep has been hard to come by. 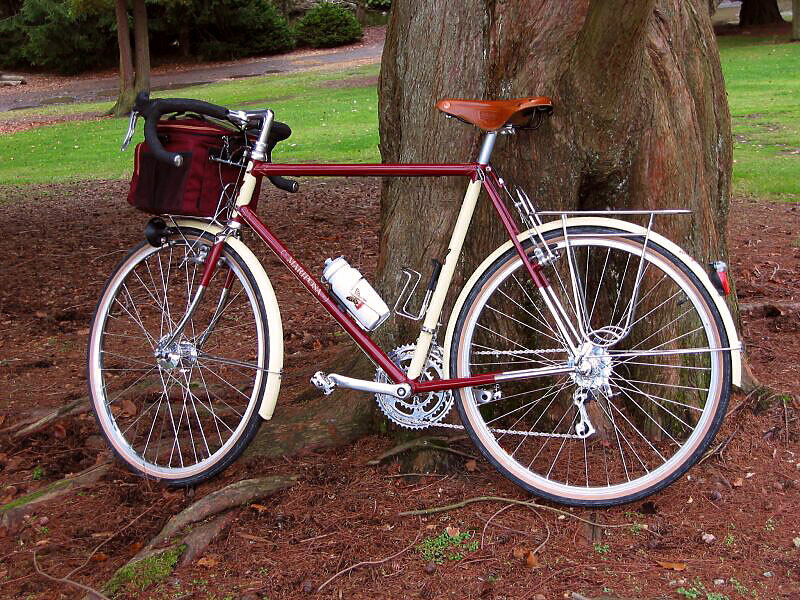 It's not a full fledged loaded touring bike but is designed to carry a fair amount of weight distributed between the handlebar bag and either a traditional transverse saddle bag or a rack top bag. 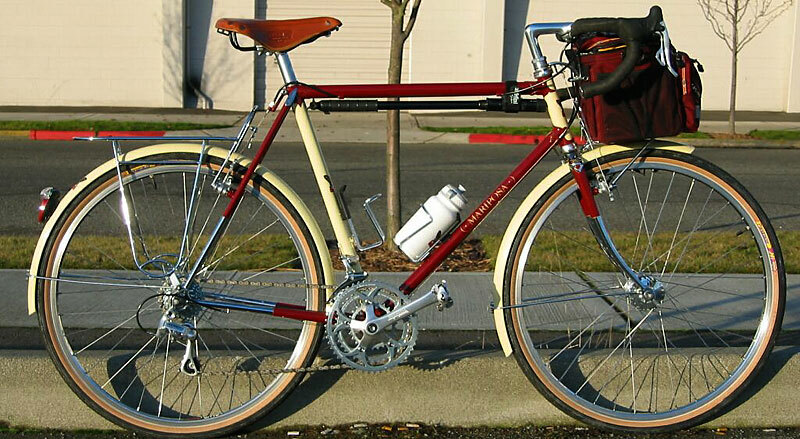 I had aspirations of being a randonneur when I ordered it but reality got in the way. That's OK, though. 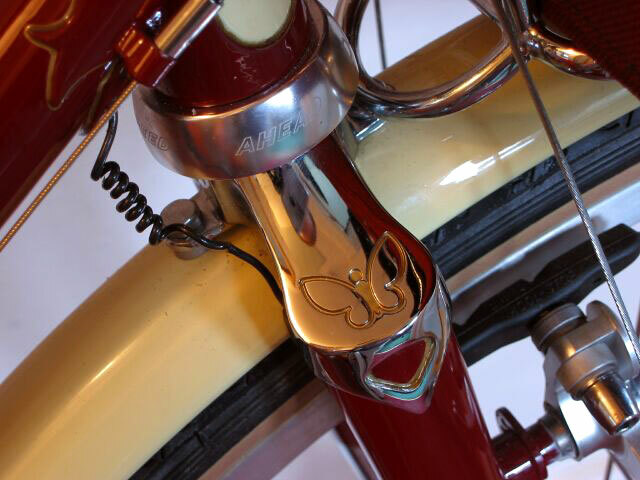 When I look at the design criteria for a randonneuring bike I see a great all around road bike and that is what I feel that my new Mariposa is - a nearly perfect (I don't know that there are any flaws but I'd rather not tempt fate by declaring it perfect) all around bike for riding on the road!